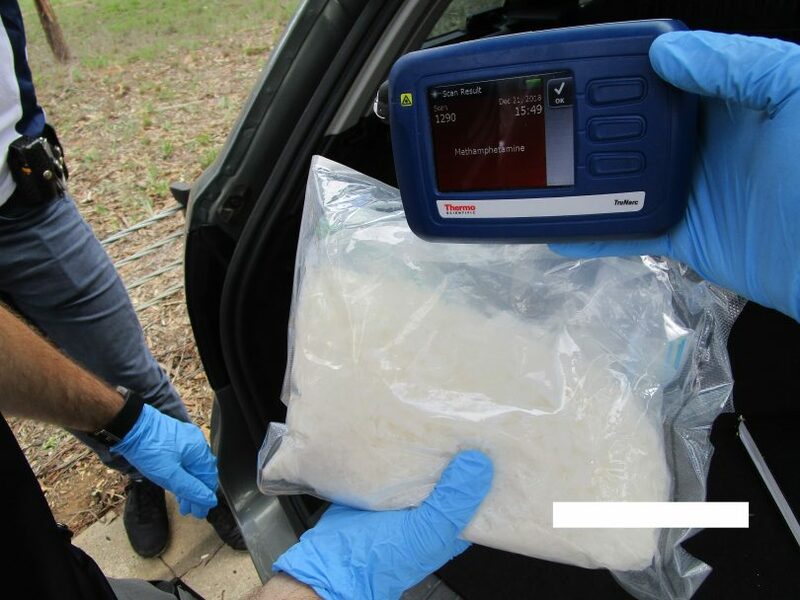 Police discovered one kilogram of methylamphetamine (ice) during a vehicle search on Friday afternoon. Photos supplied by ACT Policing. Police have removed 10,000 hits of ‘ice’ with a street value of about $750,000 from the Canberra community after seizing the drugs during a vehicle search on Friday (December 21). Acting on intelligence received, members of ACT Policing’s Crime Disruption Team intercepted a vehicle travelling southbound on the Federal Highway at about 2:50 pm on Friday. 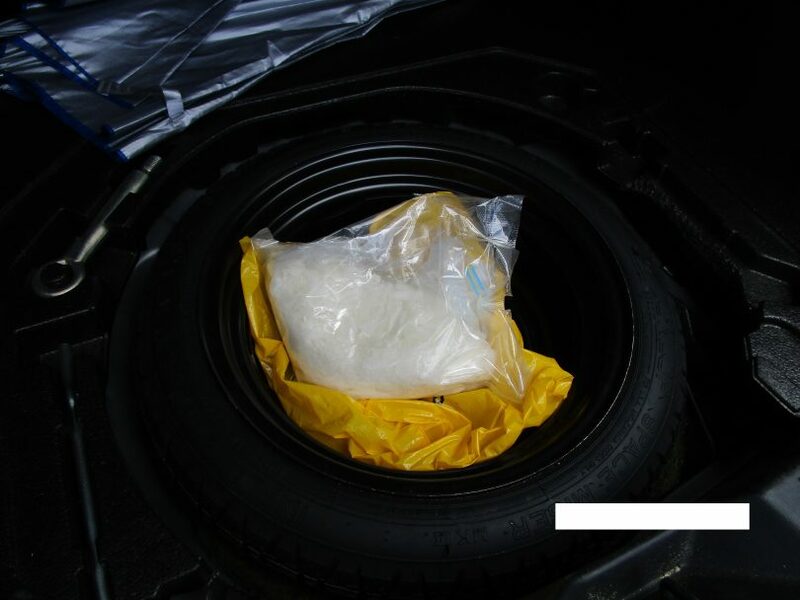 During a search of the vehicle, police discovered approximately one kilogram of a crystalline substance in the spare wheel well. Initial testing of the material indicated positive for methylamphetamine (known as ‘ice’). The exact weight and purity will be confirmed through forensic testing. The ice was found in the spare wheel well of the vehicle. A 27-year-old O’Connor man was arrested at the scene and charged with trafficking in a controlled drug. The man appeared in the ACT Magistrates Court on Saturday (December 22) where he was refused bail to next appear on 23 January 2019. Detective Superintendent Scott Moller said the seizure of the drugs would have a significant impact on the drug trade and organised crime in the ACT. “To remove at least 10,000 hits of ice from the Canberra community is a great result for our hard-working intelligence and crime teams,” said Detective Superintendent Moller. “I would also say that it is pleasing that with a street value of approximately $750,000, seizing these drugs will see that profit removed from those peddling this insidious drug in our suburbs. “This is a large seizure – a kilo of methylamphetamine. For Canberra it’s significant and we’re here to target the profits and any financial gain for organised crime members,” he said. Detective Superintendent Moller said that investigations into the matter are continuing and urged anyone who has information that could assist police to contact Crime Stoppers on 1800 333 000, or via the Crime Stoppers ACT website. Information can be provided anonymously but please quote reference 6342834. Below is a short video of Detective Superintendent Moller speaking to the media about the drug seizure (supplied by ACT Policing).